Polaris Industries has joined the handful of motorcycle brands that have posted strong sales reports in 2014. By my count, Polaris is the fifth company to release its report and just like everybody else, the motorcycle brand is all smiles over its successful year that was. 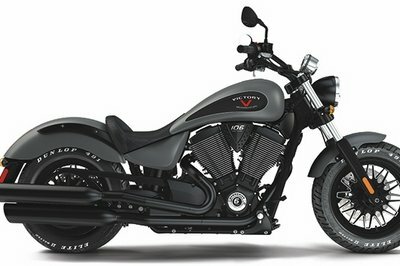 In 2014, Polaris reported an increase of 59 percent in its motorcycle sales revenue, a mark achieved by strong sales numbers of sub-brand Victory Motorcycles, as well as the successful relaunch of Indian motorcycle and the introduction of the Slingshot three-wheeler. For the year, Polaris reported earning $348.7 million in sales revenue from its motorcycle segment, a dramatic bump from its 2013 numbers when it earned “only” $219.8 million. 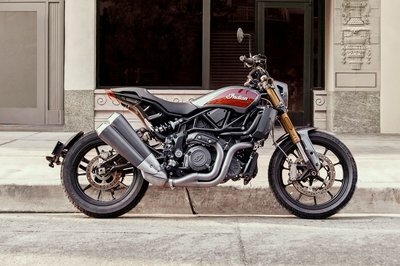 The introduction of the Indian Roadster and Scout motorcycles also helped bump up the company’s sales numbers in the fourth quarter of 2014 when it earned $103.5 million, much better than the $68.8 million it earned in the same quarter of the previous year. Polaris’ successful 2014 came in spite of a few problems, which can be expected for any motorcycle brand. In the company’s case, delays in production slowed down what could have been a stronger sales figure. The resulting backlog of bike products didn’t help Polaris, either, while the stop sale and ride order issued for the Slingshot could still have some long term ramifications for the company in the event a full recall is issued. Click past the jump to read more about Polaris’ successful sales year in 2014. Polaris Industries arguably has the most to gain of any bike manufacturer in 2015. 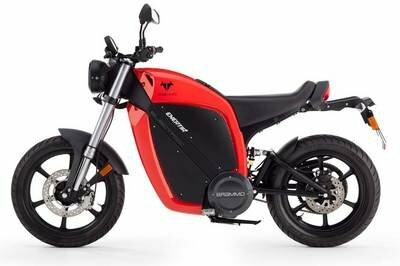 It already started the year of with a bang by announcing that it had purchased Brammo’s EV technology, which means that we could very well see Polaris EV bikes using said class-leading technology this year. Add that to the continued growth of Victory and the increased awareness of the Indian relaunch, and you have the makings of what could very well be another record-breaking year for Polaris. Am I predicting that such a thing will happen? I’m not doing that yet, but the pieces definitely are in place. If Polaris plays its moves right and gets the momentum it needs from consumers, then it could happen. The onus now is on the company to make sure that it does, and I’m confident that with the know-how it has on generating impressive sales numbers, it’s going to be another "all smiles" year for the fine folks at Polaris. income of $1.98 per diluted share for the quarter ended December 31, 2014, an increase of 27 percent compared to the prior year’s fourth quarter net income of $1.56 per diluted share. Net income was $135.4 million for the fourth quarter of 2014, up 25 percent from the previous fourth quarter’s net income of $108.7 million. Sales for the fourth quarter of 2014 totaled a record $1,275.0 million, an increase of 18 percent over last year’s fourth quarter sales of $1,083.7 million. increase of 19 percent compared to sales of $3,777.1 million for the full year 2013.